DC Be Ready National Safety Month Kicks Off F.R.E.S.H. Summer of Training: FREE First Aid/CPR/AED Classes! June is national safety month and Serve DC kicks off the Summer of Safety Training – First Aid/CPR/AED classes in each of the District’s eight wards June through August 2015 providing FREE training to 100 residents in each ward. The Summer of Safety Training’s goal is to get 1,000 properly trained citizens prepared to respond to emergencies in their communities. When emergencies happen, this basic training can provide critical support to first responders, immediate assistance to victims and can help organize spontaneous volunteers at a disaster site. Trainings are FREE and conveniently located in each ward at accessible times to fit most schedules and are open to anyone who lives, works or congregates in the District of Columbia. 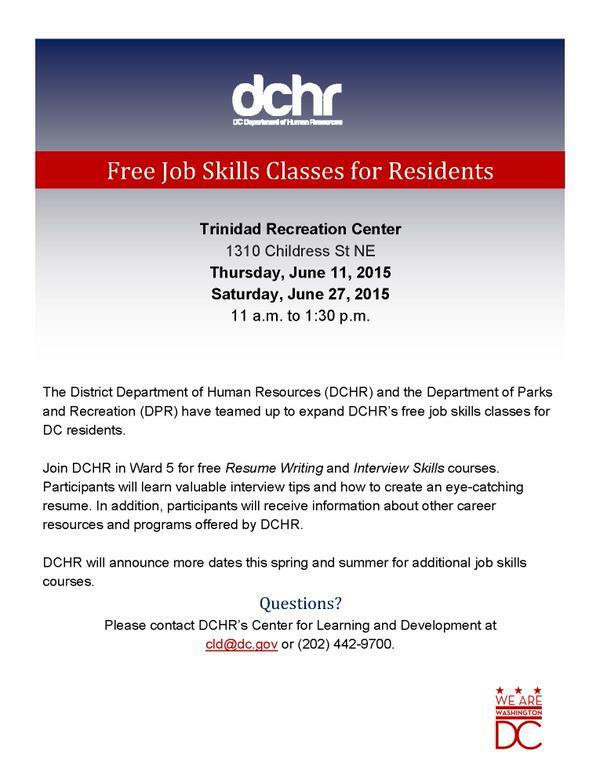 Register at http://dcsafetysummer.eventbrite.com/ or call 202.727.7925. Community members can use their cell phones to anonymously text tips about serious or violent crimes to the Metropolitan Police Department. Give 5-0 the 411 with the MPD’s Text Tip Line: 50411. Text messages are monitored by members of the department 24 hours a day, seven days a week. Tips on serious or violent crimes will be investigated by members of the department. If you would like a police response for any incident, please call 911. All tips may also be directed to (202) 727-9099 and may be eligible for a reward. Because the tip line is anonymous, the sender will not receive a response to the original message. The anonymous text tip line is not an emergency number. If you witness a crime in progress or have an emergency that requires the police, please call 911. More MPD Hotlines, Tip Lines and Important Phone Numbers.